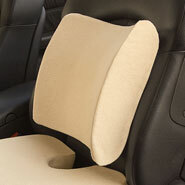 Arrange this freestanding memory foam seat cushion however you like to provide needed support and comfort. Memory foam cushion is 16"L x 13 1/2"W x 3 1/2"H. Includes machine washable cover. Love it! I am so glad I bought it. I use this in my car as I have bucket seats,and I am very short and 86 yrs old just love it!! This is very comfortable cushion. I have 6 or 8 other made like it but they flatten out in a matter of days. This one has not flattened at all. It is just like it was when new. It keeps my legs from going to sleep and no more restless legs while sitting for long periods of time. I love it. The back is slightly higher than the front which helps with posture. I use this for my computer chair and it's fine, I think I will get another more firmer one, but I love this one. Hoping it works, nothing else has. My husband has to sit for 4 hours at a time and I thought this would help him . Description seems to be a sturdy foam for a spinal problem. 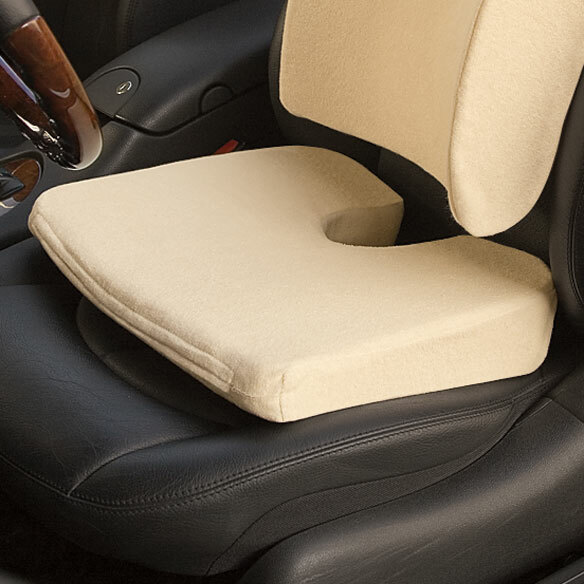 Have a Miracle Bamboo Cushion in the house & I needed one to put in my truck seat . I thought that a memory foam one would not put me up as high as the Miracle Bamboo one does so that is why I decided to get this one. 5-star customer review. My original choice was low rated and I believe this cushion will better suit my need. To relieve Bed Sores while in bed. Seats at church are wood. I had one it works good for me . pain in my thigh when ai sit down. For comfort, not very happy with them. We can use if and a friend recommended it. Problem seating longer. Needs cushion that does't flatten out when seating . Problem with tailbone. Because my father just started Dialysis & sitting in the chair for 4 hours doesn't feel good on his bottom(Tailbone). This is also for my Mom. She's been having quite a bit of lower back pain and I thought I would see if this will help lesson that.